Everywhere you go there are reminders of Chattanooga’s interesting past and the many generations who have lived here. Whether you grew up in Chattanooga or visited on a family trip to Rock City, you might enjoy walking down memory lane with these four pictures of Chattanooga in the 1960s and 70s. It might be hard to imagine now with how much the city has changed, but this is how Eastgate Mall looked in 1962 when it first opened. 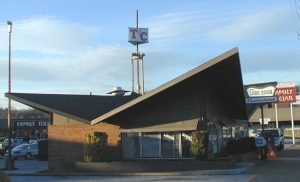 Brainerd was then a thriving subdivision, and Brainerd Road a hot drag full of restaurants, drive-thrus, and other places where young people loved to see and be seen. Car culture was in and shopping malls were just taking the country by storm. 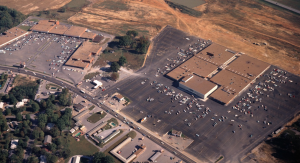 Eastgate was Chattanooga’s first open-air shopping mall, complete with swans in the center fountain. Today the surrounding area is all built up, and the mall has shifted from retail to other commercial uses as the Eastgate Town Center. 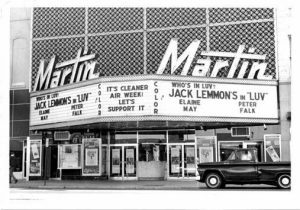 At 626 Market Street, not far from the site of the original Krystal restaurant, the Martin Theater was once a big draw in Chattanooga. You can see from this photo a hint at the city’s environmental woes with a reminder about “cleaner air week,” as well as an advertisement for color films. This shot would have been taken in 1967 when Jack Lemmon’s “In Luv” came out. You might have seen that or other hits from the era like The Graduate, In the Heat of the Night, Bonnie and Clyde, and Guess Who’s Coming to Dinner.